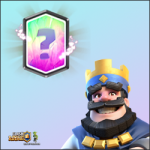 How to win in Clash Royale | Clash Royale fan-site! 1. Form your deck correctly. 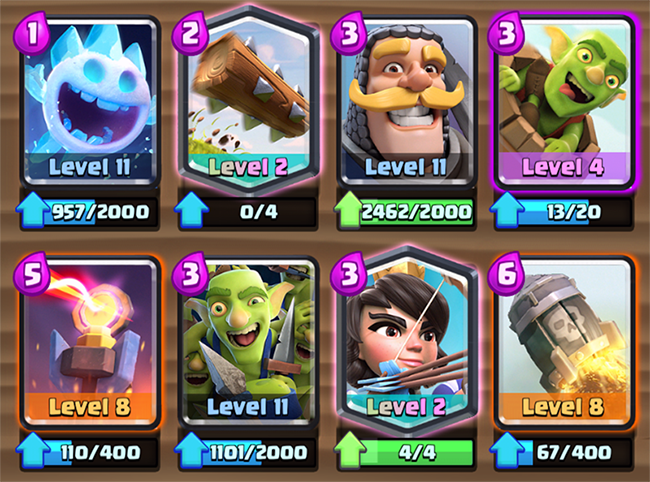 at least one troop that can attack towers directly (Miner or Goblin Barrel) or is a building targeted one (Hog Rider, Giant, etc.). at least one troop which has an ability to cause area damage (Wizard, Baby Dragon, etc). Note: the last two points can be missed, because it’s possible to form a decent deck without building and area damage troop. But for newcomers and players with low experience I recommend to form decks according to all five main points. As you can see, the deck formed according to all 5 items from list above. 3. Watch your opponent deck. Keep eye on your opponent moves. 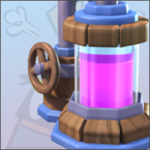 This is another important moment that allows to get maximum benefits from own cards (or get an advantage in elixir). For example, you have Minion Horde in your deck and opponent all time eliminate them by arrows. 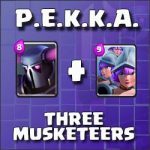 Therefore don’t use them until opponent spend his arrows on something else! As soon as he did it – boldly deploy your Minion Horde! I always use such trick with Skeleton Barrel and Bats… If opponent spend his Zap (or Arrows) on Bats – I deploy Skeleton Barrel and vice versa. It works. 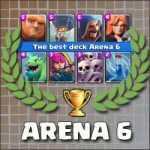 Now let’s summarize briefly… To get wins in Clash Royale we need: to form good balanced deck, play reasonably and watch our opponent deck. « Miner. A few useful tactic tricks!